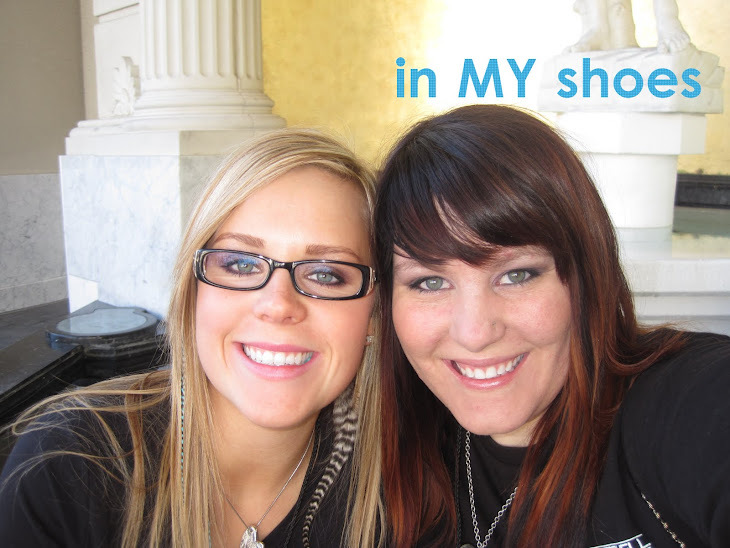 in my Shoes: oh July, where did you go?? oh July, where did you go?? So I realize that so many things have happened in the month of July! I was going to start the month off with a fantastic BLOB about the festivities that took place for the 4th in a little place I like to call Snowville Utah. Yes, I call it that because that is the name of the town! I believe that it had been approximately 15 years since I had attended the 4th of July Celebration in Snowville, and boy was I in for a treat! You see, my grandparents were asked to be the Grand Marshall(s) of the parade and I was very excited for them. I think that they are the only ones over 70 who hadn't been the Grand Marshall of the Snowville Town Parade. We got there just in time to see the parade lining up at the church (a block away from my grandparents house). The Parade would then go around about a 4 block area and end back at the church. about 4 minutes after the Parade started, we saw my Grandparents coming down the street!! After them, we had a few other town members and a couple of old vehicles that were later displayed in the church parking lot for their own little car show! Then there was a small pause.. we could turn around and still see the fire truck (the county came out for this part, Snowville only has an Ambulance) was still about at the beginning of the route... about 6-10 min later we started to see the 2nd half of the Parade. The Morgan, of Morgan Dairy, were handing out little things of milk to EVERYONE in the town! SO after the small intermission came the rest of the Parade, ending with none other than the fire trucks! Including the intermission it's possible that the parade was 15-20 min long, but that could be pushing it. After the parade our family just sat on the side of the road chatting for a good 25-30 min before we decided to move to the lawn! The rest of the days activities were dinner at the park, followed by a Dance entertained by the local band and ending with Fireworks. Oh yes, the parade began at 4pm... no longer enough to do a full day of celebrating! We did not stay for the dancing and fireworks, we went to my sister Alison's and had our own. Aren't my Grandparents just so Cute!! Oh, and Mollie's is only the best Cafe EVER!! Should you EVER drive to Bosie ID, just before you leave Utah take exit 7 and stop in for a bite!! More of the rest of the month to come! Hopefully Facebook will let me load all the rest of the pics from the AMAZING 4th of July festivities!! Ah, I have nice memories of eating at Mollie's with my Dad. We used to go to Snowville the week before Memorial Day every year to visit the cemetery and eat at Mollie's. My dad would tell me all about his little grandma who raised a big family of kids all alone out in Snowville. Ha! You have to love the Snowville parade! :) I noticed that my nephew Carson was driving the fourwheeler for the Morgans. What a stud! :) I love reading your blogs Cand! You crack me up! Miss you! LMAO at the Mardi Gras float! I guess anything goes in small towns... reminds me of the annual Fletcher parade.